Norman Lewis Reynolds, 85, of Fredonia, Kansas, died Wednesday, November 28, 2018 in Stillwater, Oklahoma, where he had resided for the past few years due to health reasons. Norman was born October 3, 1933 in Lafontaine, Kansas, the son of Carl and Lillian (Wise) Reynolds. He began school at Mound School in 1939 and graduated from Fredonia High School in 1953. It was during high school that Norman met and fell in love with his future wife, Marilyn Timmons. Norman and Marilyn were married July 19, 1953 in Fredonia. Norman proudly served in the United States Army and was honorable discharged in 1954. Following his military service, he attended Independence Community Junior College and graduated from Pittsburg State University with a Bachelor of Science degree in education. After teaching in Garden City for four years, Norman returned to PSU to complete his Master’s degree. He returned to Garden City as an elementary principal for four years and then moved to Emporia where he served as an elementary principal and later Emporia High School principal. During this time, Norman earned his Ed.S. degree from Emporia State University. He eventually served as school superintendent in Hoisington for four years, in Goodland for four years and in Wellington for two years. 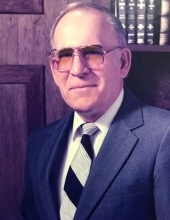 Norman completed his educational career with the Kansas Association of School Boards in Topeka, retiring in 1997, following nine years of working and consulting with local school boards across the state. Norman and Marilyn returned to Fredonia to enjoy their retirement years. Norman became a valued staff member of Timmons Funeral Home for many years. Norman and Marilyn were blessed with the birth of two sons, Randy in 1954 and Erick in 1957. Marilyn preceded Norman in death on May 27, 2012 following a long illness. Norman was there for Marilyn as her primary care giver and the love of her life to the very end. Norman was a member of the Sacred Heart Catholic Church and the Knights of Columbus. He was an active member of the Fredonia Rotary Club for many years and also served on the Fredonia Housing Authority. His favorite membership was at the Fredonia Golf Club where you could find him playing with his buddies several times a week. Norman is survived by his sons, Randy and wife, Sari Reynolds of Hays, Kansas and Erick and wife, Pamela of Stillwater, Oklahoma. He was blessed with six grandchildren, six great grandchildren and several nieces and nephews. He was preceded in death by his wife, Marilyn, his parents, and his brother, Calvin. A funeral mass will be said at 10:00 A.M. on Wednesday, December 5 at the Sacred Heart Church in Fredonia. Burial will follow in the Fredonia City Cemetery with military rites by Fort Riley Honor Guard. The family will receive friends at Wickham Funeral Home 5:00 P.M.-7:00 P.M. on Tuesday, December 4. Memorials have been established in Norman’s name with the Sacred Heart Church or the Fredonia Housing Authority and donations may be left at the funeral home. The family is appreciative to Wickham Family Funeral Home, 510 North 7th Street, Fredonia, Kansas, 66736 for taking care of Norman’s final wishes. To send flowers or a remembrance gift to the family of Norman Lewis Reynolds, please visit our Tribute Store. "Email Address" would like to share the life celebration of Norman Lewis Reynolds. Click on the "link" to go to share a favorite memory or leave a condolence message for the family.